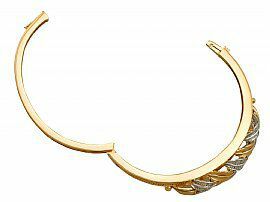 This fine and impressive gold bangle has been crafted in 18ct yellow gold with an 18ct white gold. 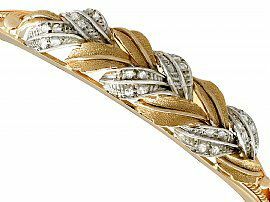 The anterior face of this contemporary brooch has a pierced decorated, paired leaf design. 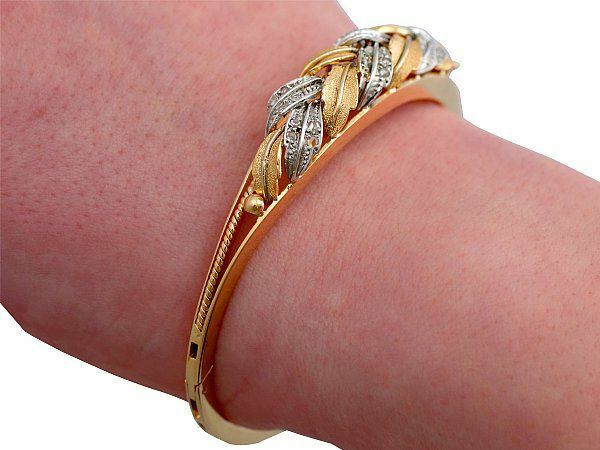 ~The floriated design is composed of alternating 18ct white and yellow gold paired leaves. The three pairs of 18ct white gold leaves are embellished with a total of twenty-four pavé set Dutch cut diamonds, totalling 0.48cts. The central arrangement is flanked on either side with a ball and rope twist decoration. 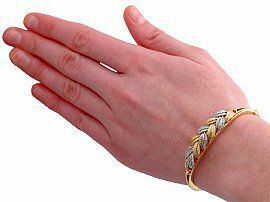 The posterior portion of the hinged bangle has a rib style design, securing to one side with an integrated push fit clasp and hinged clip fastening. This contemporary diamond bangle is hallmarked to the tongue of the clasp with the mark for 18ct gold (K18). 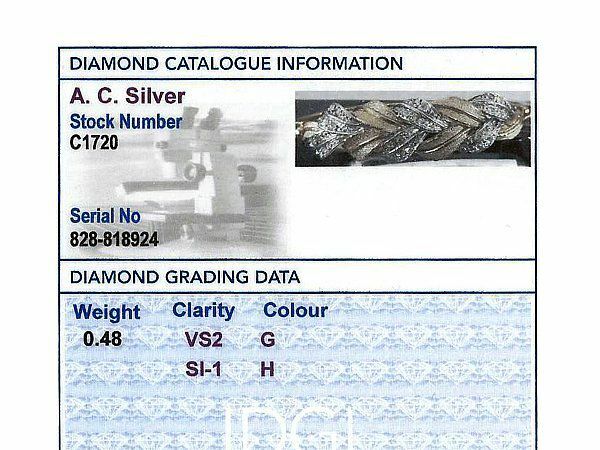 The bangle is supplied with an independent diamond grading report card. This impressive contemporary 18ct gold bangle is fine quality set with very high colour graded diamonds. 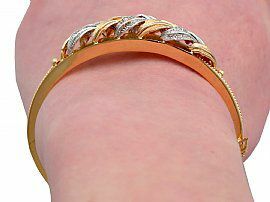 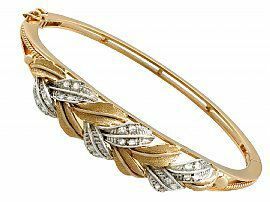 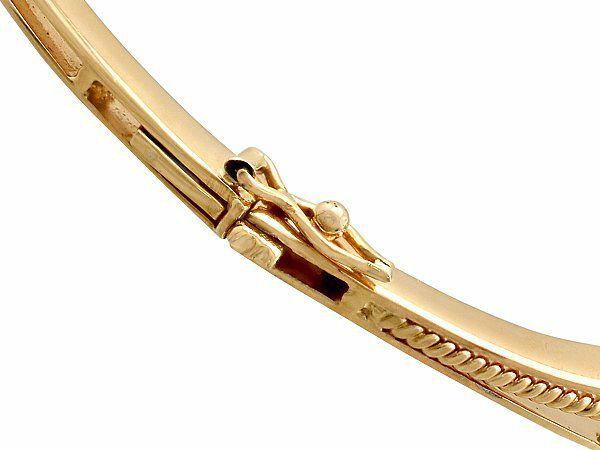 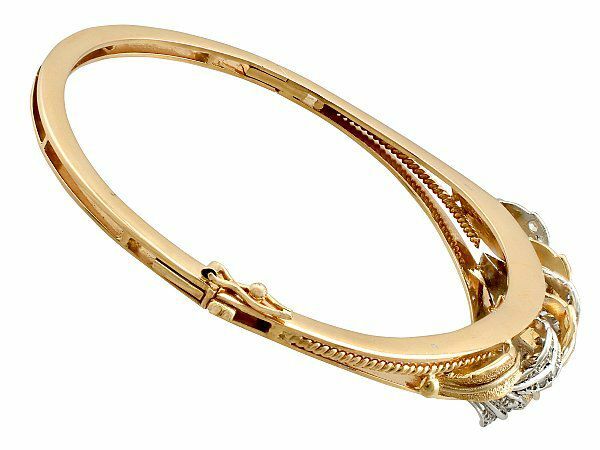 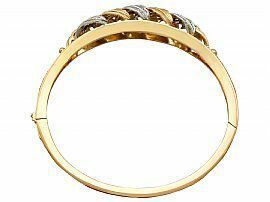 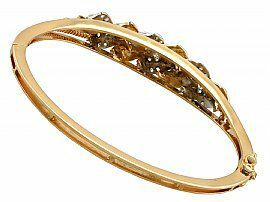 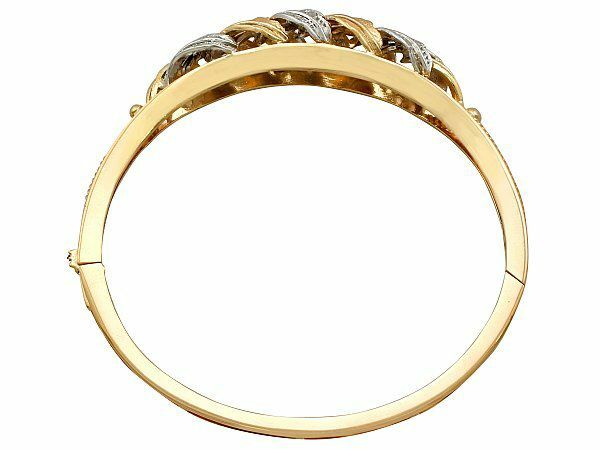 The bangle is an exceptional gauge of gold and is in excellent condition with a clear hallmark to the clasp. 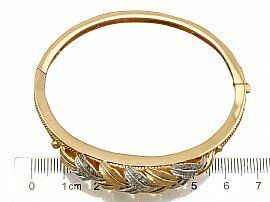 Exterior Diameter (major axis) 6.6cm/2.6"
Interior Diameter (major axis) 5.8cm/"
Exterior Diameter (minor axis) 6.8cm/2.68"
Interior Diameter (minor axis) 5.2cm/2.05"